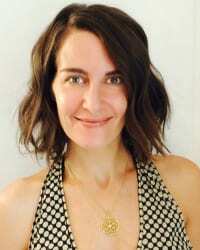 Elena Brower is just one of the luminaries you can learn from at Wellspring this October. For tickets and more information, click here. Wellness industry professional discounts and scholarships available! Elena began her journey toward recovery and sobriety four years ago, and recently celebrated four years sober. A doTERRA rep and essential oil enthusiast, Elena has figured why and how to use essential oils to help combat symptoms experienced by people going through recovery. This piece originally appeared on elenabrower.com, reprinted with permission. If you’d like more information on the oils or to ask questions, email Elena at info@elenabrower.com, or connect with her at Wellspring! Most addictions are born of a deep longing to connect from our hearts to our surroundings, and they become reactions to pain, typically related to circumstances or people that are dangerous, challenging, or absent. To divert our attention, numb our sensations and seemingly keep us safe, we choose substances, behaviors and relationships that match the low or stagnant vibrations of our environments in our past or present reality. Essential oils help us shift the need for immediate relief into a new and nourishing relationship with ourselves. How? Every time we experience a traumatic, negative or degrading experience, whether in childhood or adulthood, a cascade of chemistry occurs in the brain that wires certain neurological pathways, records the external physical environment as well as the state of your body (emotions, sensations such as sadness, anger, self-judgment, low self-esteem) in great detail, thereby ensuring that memory pathway is set. Let’s say it’s so traumatic that you find yourself habitually replaying the event over and over in your mind, somehow hoping for a new outcome. That’s human, normal and natural to do. In his groundbreaking book, Becoming Supernatural, Dr. Joe Dispenza reminds us of the neuroscience behind this daily phenomenon. Each time we replay a memory in the mind, we send the exact same chemistry through the brain, which lodges impressions throughout the body. The mind has no idea that the event isn’t actually happening IN THAT MOMENT, because the brain cannot distinguish between present and past. Highlight this: a memory registers in the mind as though it’s happening in the present. Which is why if you’ve adopted any addictive habit to escape an awful memory, or prevent more from happening, you’re only escaping for as long as the drug or the drink works. When it wears off, that memory is still there, that low vibration has made an impression on your subconscious, and it’s waiting for you to replay it and cause the same physiological reaction time and again. By introducing new chemistry to the limbic (instinctive) brain, the oils can transform those pathways of negative memory, bring in new information, and create new, positive pathways. Oils can aid our recovery from low vibrational states that result from addiction to food, dieting, alcohol, drugs, prescription drugs, abusive people, relationships, unhealthy sexual choices and habits, self-harming, overworking, multi-tasking, hiding, lying, electronic diversions, and even social media—by creating an environment of physical balance and emotional peace in the body. Essential Oils create conditions in which those low vibrations cannot thrive. 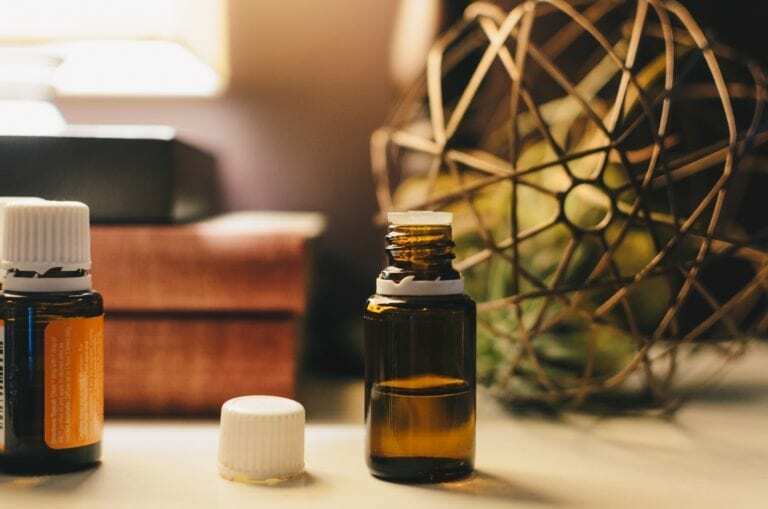 By creating new habits and rituals of self-care, essential oils change your mind, fortify you emotionally, and help you design and sustain your journey in recovery. Such new rituals shift us into new ways of thinking and being with ourselves and with others. By keeping a consistent, simple routine with your favorite oils, you can shift memories and help your body find its way to freedom. When you inhale an essential oil, the odor molecules travel via your nostrils to the olfactory membranes in your nose lining. The odor molecules stimulate this lining of nerve cells to trigger electrical impulses to the olfactory bulb in the brain, causing a series of reactions within the cell structures, which results in the creation of new habits of feeling, thinking, seeing and being. The olfactory bulb transmits those impulses to the amygdala, where your emotional memories are stored. This is also the control center for automatic functions such as your breathing and your heart rate, so those impulses can instantly shift your state. The premise of aromatherapy: Essential oils enable you to access stored, forgotten memories and suppressed emotions, in order to acknowledge, integrate and/or release them. For anxiety: Valerian, Jatamansi, Lavender, Jasmine, Holy basil, Sweet basil, Bergamot, Chamomile. For calming the mind: Lavender, Roman Chamomile, Peppermint, Clary Sage, Ylang Ylang, Patchouli, Geranium, Lemon. For mental strength: Rosemary, Basil, Juniper Berry, Peppermint, Sage or Clary Sage. For stability and grounding: Cedarwood, Cinnamon, Ginger, Sandalwood, Thyme, Blue Yarrow.